Kindergarten students in Ms. Phillips' class at G.W. Carver Elementary School enjoyed working in the Pinetops Community Garden! The garden is designed to provide fresh vegetables for people in need and to help children learn about the value of gardening. 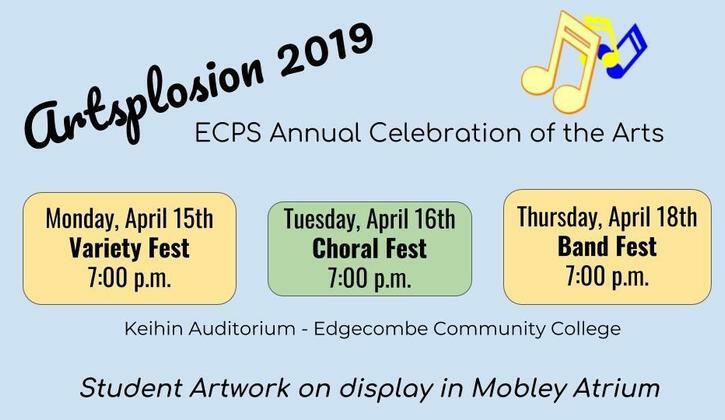 Congratulations to the ECPS Employee of the Month for April - Susan Herrin, Math Teacher at North Edgecombe High School! South Edgecombe Middle School - ECPS Middle School Quiz Bowl Champions! Congratulations to G.W. Carver Elementary School - ECPS Elementary Quiz Bowl Champions! Kindergarteners in Mrs. Hyman's class at Martin Millennium Academy LOVE Dr. Seuss! Theresa Glast, Exceptional Children's Teacher at W.A. Pattillo Middle School, was recognized as the ECPS Employee of the Month for March. Glast, left, is pictured with Pattillo Principal Lauren Lampron. The North Edgecombe High School JROTC Cadets recently visited Governor Roy Cooper at the Governor's Mansion in Raleigh! The Edgecombe Early College Scholar Teachers are doing incredible work in classrooms across the district. The EECHS Scholar Teachers Program provides outstanding high school students in Edgecombe County who desire to become teachers the most advanced preparatory program currently available in eastern North Carolina. Seventy-eight students from North Edgecombe High School, SouthWest Edgecombe High School, and Tarboro High School were recently inducted into the ECPS Career & Technical Honor Society during a ceremony held on the campus of Edgecombe Community College in Tarboro. The W.A. Pattillo Middle School "Girls 4 STEAM" Club participated in the Student Showcase at the North Carolina Technology in Education Society Conference recently at the Raleigh Convention Center. They highlighted their work with 3D Doodlers, Virtual Reality, and Hydroponics. These Princeville Elementary School students, along with fellow students at the school, have pledged to read a million words by the end of the school year! The ability to understand and speak more than one language is not the only benefit of a Spanish Immersion education. Research shows that immersion students gain additional cognitive and academic benefits! ECPS is proud to offer Spanish Immersion Programs at G.W. Bulluck Elementary School & Martin Millennium Academy. 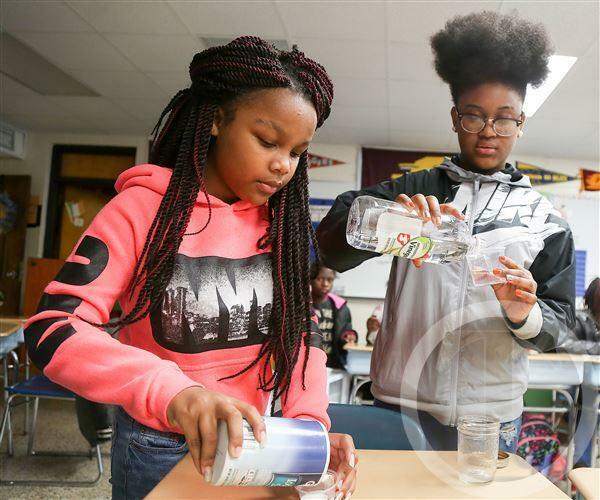 Science Olympiad Scholars from Edgecombe Early College High School and South Edgecombe Middle School recently traveled to East Carolina University to compete in a variety of STEM related challenges. Happy Birthday Dr. Seuss! Coker-Wimberly Elementary School celebrated Read Across America Day with guest readers from our community! A team of students from Martin Millennium Academy captured second place in the Junior Chemistry Division at the Northeast Regional Science Fair held recently at East Carolina University. They qualified to compete at the North Carolina Science Fair at North Carolina State University on March 30, 2019! Students at Coker-Wimberly Elementary School recently learned about the weather using Ozobots, toy robots that blend the physical & digital worlds. The mission of Ozobot is to inspire young minds to take the leap from consuming technology to creating technology! So much fun celebrating the 100th day of school at G.W. Carver Elementary! Each month, the staff and students of Coker-Wimberly Elementary School complete a service project to benefit the community. Their most recent "Coker-Wimberly Cares" project involved collecting donations of personal hygiene items for the local homeless shelter. Congratulations to Matt Smith, Edgecombe Early College High School Principal, who has been named the 2019 North Central Region Principal of the Year - one of eight finalists in the state for the title of North Carolina Principal of the Year! Congratulations to the newly inducted members of the G.W. Carver Elementary School Junior Beta Club! Students from the Career & Technical Education Program at SouthWest Edgecombe High School recently visited Facility Maintenance, Welding, and Electronics classes at Edgecombe Community College. Ninth and tenth grade students at Edgecombe Early College High School participated in a Catapult Launch competition this week - the culmination of a semester-long project. Teams of students worked together to design and build a catapult that would launch a projectile the greatest distance or with the greatest accuracy. Members of the custodial staff of North Edgecombe High School were recognized at the November Edgecombe County Board of Education meeting as the recipients of the Saffelle Clean School Award for the first quarter. A clean school is a happy school! Students in Mr. Buchanan's science class at Phillips Middle School took a virtual field trip around the Solar System with the assistance of iPads and Merge Cubes! Stocks Elementary School recently participated in National Mix It Up at Lunch Day, which encourages students to move out of their comfort zone and connect with someone new over lunch! 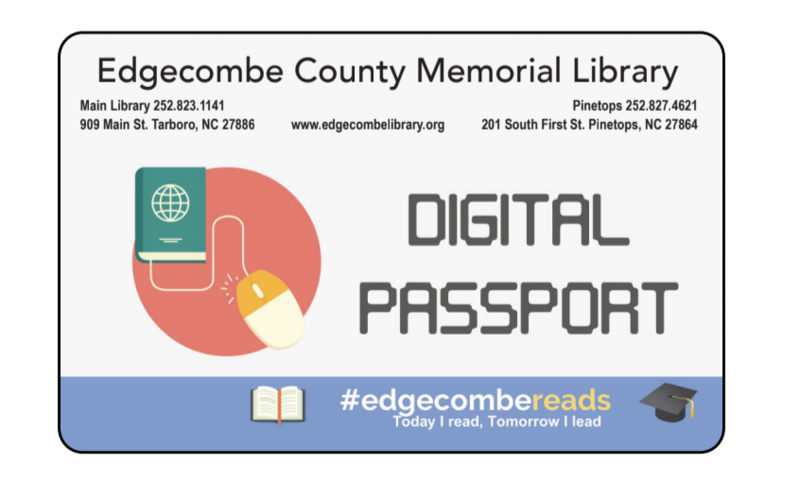 ECPS has partnered with Edgecombe County Memorial Library to provide each student with a library card. The card provides access to many high quality digital resources, including homework and test preparation assistance, eBooks, and STEM ideas. Click the headline to read about some of the groundbreaking work our educators are doing for our students! 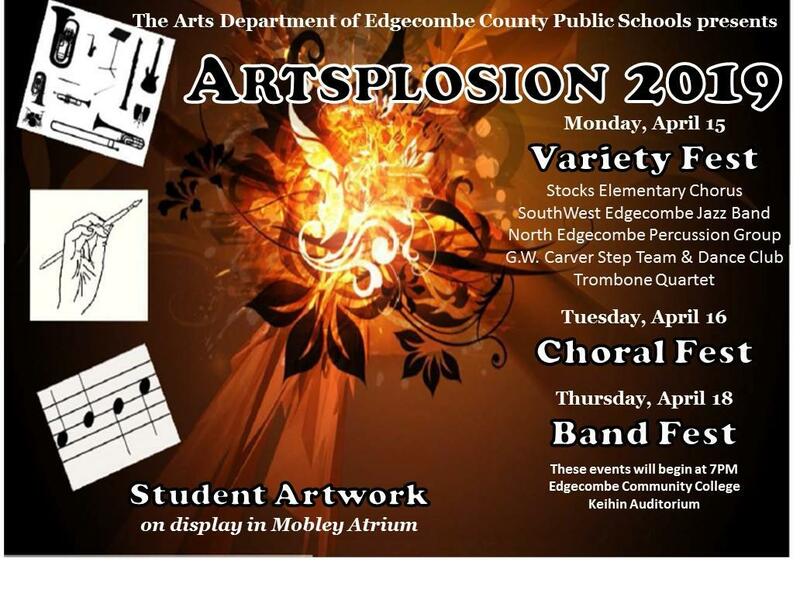 Make plans to attend "Artsplosion 2019" featuring student performances and artwork at Edgecombe Community College. Click the headline for more information. 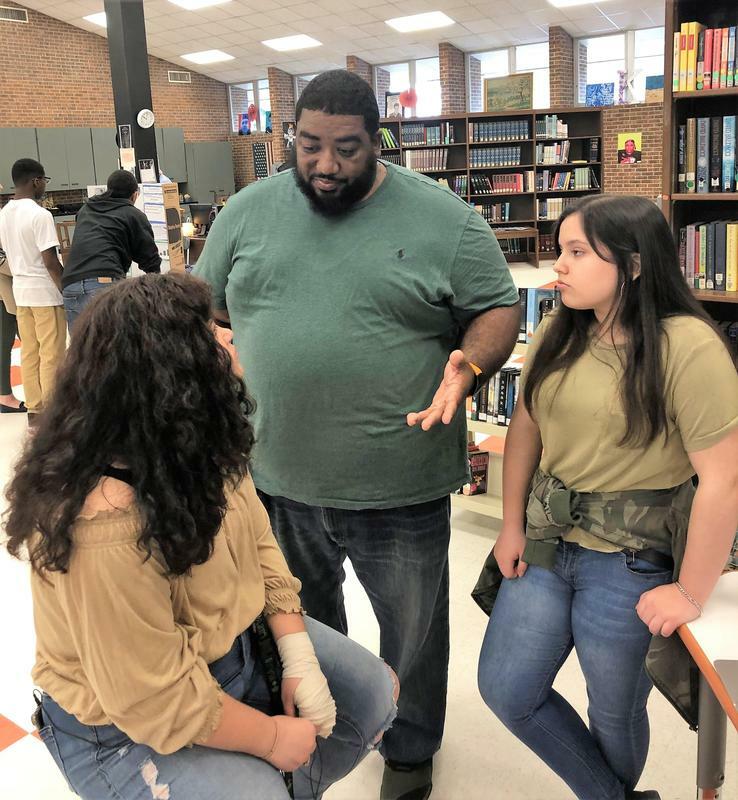 Check out this article featured in the Rocky Mount Telegram about the recent school visit to the North-Phillips School of Innovation on the campus of North Edgecombe High School!